Obsessing over quality content is fast becoming a search marketer’s past time. In June’s SEO Newsletter, we talked about Google Panda 2.2’s coming, and further scrutinizing content to make sure it plays into the factors Google uses to determine quality. Let’s take away the speculation and guessing for now, and focus on what we do know – tried and true methods that ensure quality in Web content for SEO. As a business owner, you’ve been in the trenches of your industry and know it inside and out. But business owners are seldom the creators of content for their sites – even when they are, the following advice applies: capture knowledge and put it into writing. When I first came on board here, I shared some ways I get into the minds of business owners and industry experts, as well as understand a business and its products and services prior to writing Web content. You cannot write in-depth content until you break apart a brand, its products and services into tiny bits to better understand how they work, their purpose and the messaging that’s going to best serve the business. So, what if the business owner doesn’t know anything about the industry? What if they are just starting out? This actually does happen. People start businesses because they know that’s where the money is at with little to no background on the industry. This is where, as a writer, it’s important to do your research. And then do your research again. And then fact check. Go to credible sources that you know Google trusts. Authoritative sites, books, publications. Google Scholar is a good place to find scientific, research-based supporting information as well. And if you don’t have all the answers, say it. Let your readers know there are differing opinions; share both sides of the story. Don’t write to sell; write to educate. And according to some of the criteria that Google uses to evaluate Web content, these steps are a must in your quality assurance process. Instead of freakishly obsessing over every factor that Google may be scrutinizing, try starting with what Google tells us is important. In a May post on the Google Webmaster Central blog, Google gave a list of questions that represent its mindset when evaluating quality. It’s not hard to see that Google just wants us to approach content with the same diligence a journalist would, and the same depth an expert of any given topic would. Sometimes it takes both. Experts aren’t always writers and writers aren’t always experts. It takes work, and this is something site owners must be willing to invest in. And guess what? Google also gives a lot of insight into its definition of quality in its webmaster guidelines. Here, Google not only talks about the content within a site, but also the structure of a site and how that plays into quality and user experience. Remember, Google wants what is best for the user. So, how do you best structure a site for both users and SEO? One way is through the practice of siloing. Siloing, or linking pages by theme, on a site helps the search engines and visitors easily navigate and get the information they need about a topic. Siloing also helps in making a site more authoritative and relevant for any given topic by providing ample amount of supporting information on any given subject matter. Bruce Clay has been teaching the concept of siloing since the dawn of time plus infinity. And you know what? It works. If you have a bunch of random topics spread across your site with no real rhyme or reason, this can confuse both the search engines and the visitors as to what your site is about. It can also make it hard for a person to find what they are looking for. On the other hand, complete lack of information about a topic can also work against a site. This is why it’s a good strategy to create these carefully planned groups of information on your site that relate to your business, its products or services. To establish clear themes in your site navigation, first identify the major topics of a site. If you’re starting from scratch with a new site, the primary keywords you choose for your products and services will be built into the landing pages and serve as the concepts for the major topics; the secondary keywords will help form concepts for supporting information pages underneath. Whether you’re launching a new site with siloing built into the navigation or re-evaluating an existing site, siloing is a strategy worth investigating. Read more about how to virtual silo to help create an authoritative and relevant site Panda will love. Got tips on how to keep Panda fed and happy? Please share them with us in the comments below! panda brings new standards to the industry , my opinion is that panda 3 will not be algorithmic it will use raw data of chrome plugin users , google toolbars etc. only the brands win here. Hope you are doing good.I just want to know how SILO structure is useful for the website? How can we implement it? Thanks for your any input. Hi, Emma — right — people from different industries and backgrounds have varying perspectives on what quality writing is. That’s a valid point. I think it’s a matter of people getting used to the idea of Web content writing and how it differs from other types. But that still doesn’t solve the problem of what one person may find valuable over another. I’ve actually read some tips with takeaways I could use on various subjects from some of those sites that may be dubbed “content farms” — not the norm but can happen. Thanks for your comment, Emma! Jessica, I think you raised a very good point in your response to Kent’s comment. What one group of readers believe to be quality content could be of a completely different standard to a seperate group of readers. This is especially hard when you are trying to make your site accessible to all readers from a lexical and syntactic perspective. presented very simply to readers, especially in complicated fields, like finance. Would this simple way of writing constitute ‘high quality’ in the Google bots’ eyes..? Panda has really upped the ante on finding a style of writing that suits readers’ needs and satisfies the bots. but maybe because of its size the relevance is somehow diluted!! Hi Joel — so a site that has more concentrated themes versus a large site with tons of disjointed content? Size doesn’t matter any more, its time to get rid of the extra weight and focus more on quality. Those pesky scraper sites … thanks for commenting, Subhakar. Good Article Jessica! 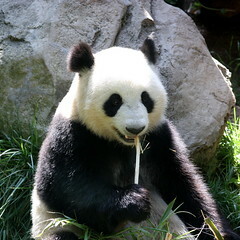 Google Panda Update has affected many websites. Google Panda update is helping to improve our websites because many are copying the content from other websites and promoting. architecture of the site is very important. soiling the site with quality inner links and pages is a great way to focus the site on your theme or service. thanks for the article, i will make sure to feed Panda ! I’m with you, Kent — I think Panda is generally a good thing. Where it gets tricky is Google deciding what quality content is and translating that into an algorithm. Will Google’s definition of quality ring true for everyone? So far, Google has said the data shows Panda is blocking a majority of the sites that users block as well. So, we’ll see. A lot of people complained Google for their Panda algorithm, but I think the other way around. Google actually helps us to make our websites even more quality so that people will come to our websites. For my case, since quality content is getting important for Google search engine. I have to think of some quality content to attract my readers and for search engine as well. For example – “Advantages and Disadvantages of Using Groupon Malaysia as Your Marketing Tool” or “Obama 2008 Election Social Media Campaign Case Study”, etc. It does help in my SEO ranking AND the most important, I use positioning strategy to position myself as an expert in this industry. We should thank Google for their hard word in keep fine tuning their algorithm even sometimes, it is very hard to cope with.